Join us for a very special presentation of the making of the film by the talents behind it as they share rarely seen images and reveal interesting details about the creative process. 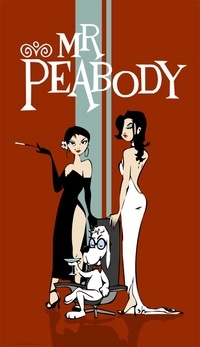 Mr. Peabody & Sherman is a highly anticipated upcoming 3D computer-animated comedy adventure film based on the characters from the Peabody's Improbable History segments of the 1960s animated television series The Rocky and Bullwinkle Show. 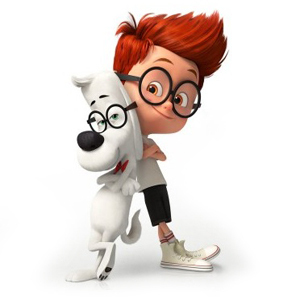 The film features Mr. Peabody, a talking dog who is the smartest being in the world, and his adopted boy Sherman. When Sherman's misuse of their time traveling WABAC machine results in disastrous and comical events, it is up to them to put things on track before the space-time continuum is irreparably destroyed. Meet the artists one-on-one as they share rare behind the scenes stories and artwork as well as sign copies of the new Art of Mr. Peabody & Sherman book! Only available at Nucleus for a limited time and released exclusively for event: "Adventure Awaits!" by Shane Prigmore. Shane will also be a guest panelist and will be available to sign books and prints. Signed copies are limited so be sure to pre-order yours today. $5 Admission at the door or FREE w/ purchase of the art of Mr. Peabody and Sherman book (seats are limited, standing room available). Outside books will be subject to a $10 fee.